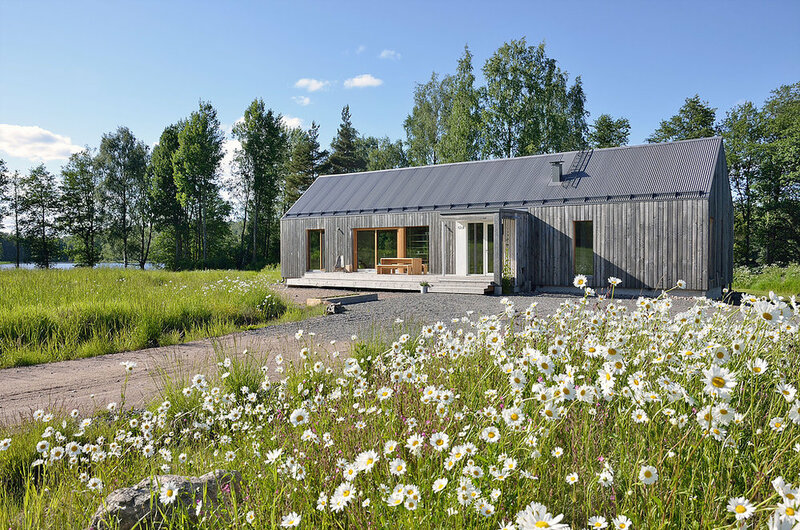 On the shoreline of a small lake in Tenala, Finland MNy Arkitekter has used seven varieties of timber to create Åkerudden, a beautiful house reminiscent of a modern cottage. 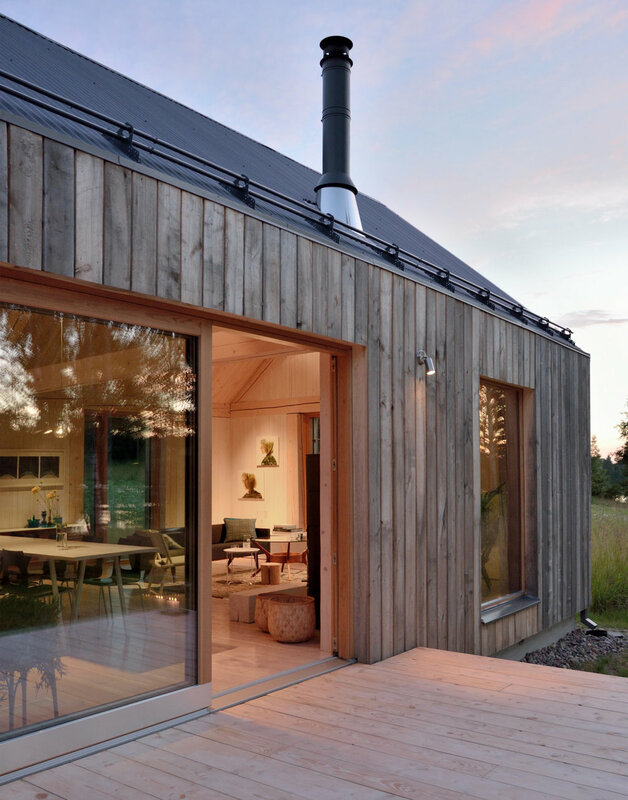 According to dezeen.com, the gabled form references the existing architecture in Tenala, a former municipality on the outskirts of Helsinki. 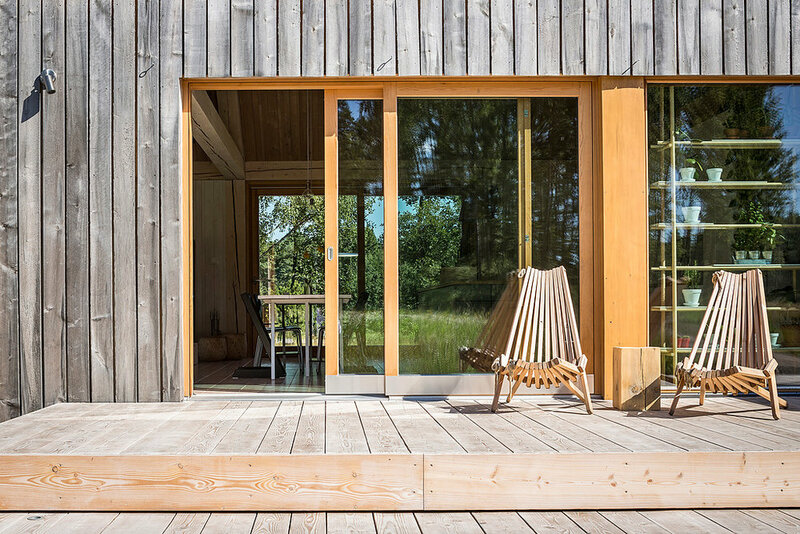 “The building's idiom is simple and oblong and it settles naturally into the open field landscape,” said Mathias Nyström, founder of MNy Arkitekter, who selected an assortment of treated and untreated timbers to subtly distinguish it from its neighbors. 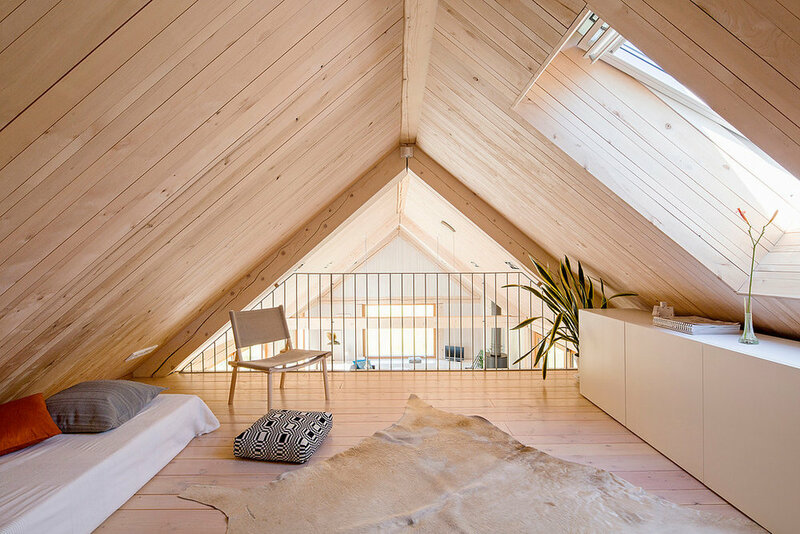 The house's timber structure is made from locally sourced spruce, which is treated with white-tinted oil and left exposed throughout the interior. The framework rests on oak batons and is completely clad in vertically arranged lengths of aspen. Inside, walls and ceilings are lined in a combination of oiled and untreated black alder panelling. 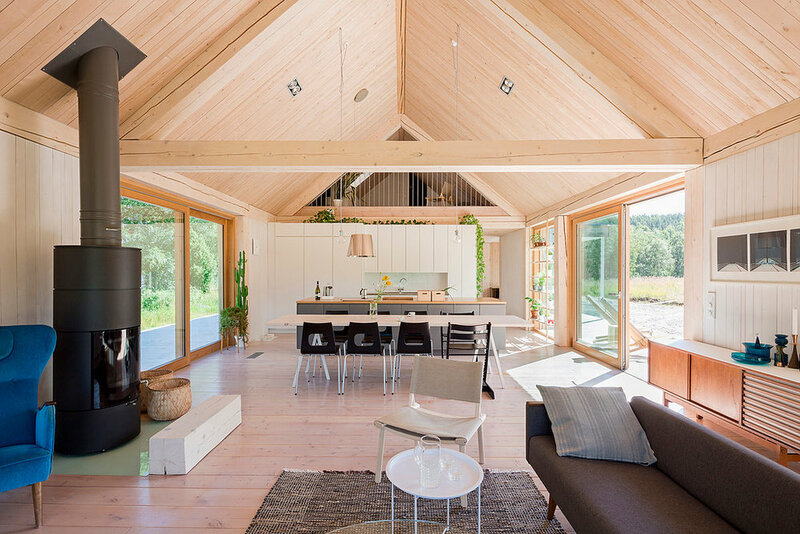 The floor and two terraces that project from either side of the house are made from Oregon pine sourced from a nearby forest. A smattering of brightly coloured and patterned textiles offset oak veneer, pine and larch surfaces in the open-plan lounge and kitchen, which occupies one half of the house. "The explosive verdancy of spring, romantic glow of summer fields, earthy colours of autumn and dazzlingly clean light reflected off winter snow create their own atmospheres in interior spaces," Mathias says.